The book was solely sewn of wool felt in different thicknesses with an ordinary sewing machine. A bit of sewing experience is necessary, but I tried to structure it as easy as possible and illustrate it step-by-step with photos. 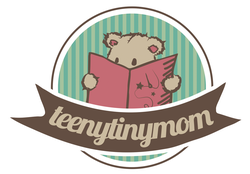 Create a special favorite toy for your child, grandchild or favorite child. It can go on holidays, make up stories, take comfort from it when at the doctor's or to keep them occupied in a restaurant or when they have to wait or sit quietly for a while. Teddy is getting a house with a garden. Every page offers elements the child can play with, things to discover and movable parts, that are all tied to the background so nothing can get lost. Only teddy can move along the pages. He has a cozy living room, a bedroom and a bathtub. Teddy can leave the house to work in the garden, to visit his bee stock in the forest or to relax by the lake. You can download the tutorial (pdf - ebook) here on Etsy and start sewing right away. 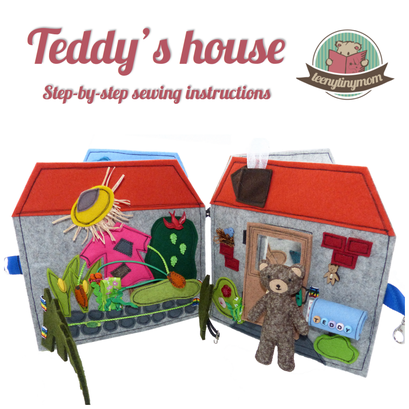 You can add this page to the Teddy house as an additional page. 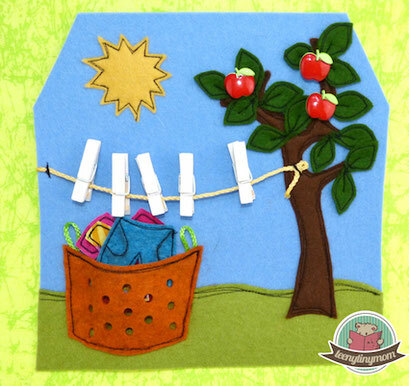 The template and instructions for the laundry page with step-by-step photos can be downloaded here as a freebook.